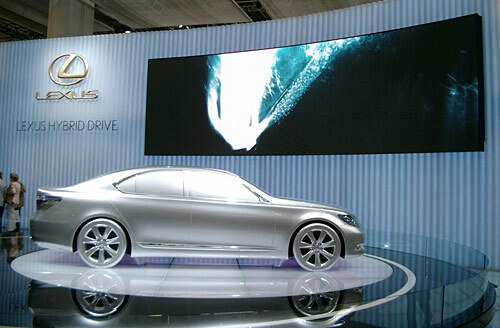 The 2007 Frankfurt Auto Show may have been light on Lexus news, but there were plenty of photo opportunities nonetheless. Claude Feltz, who provided the silver IS-F photos featured earlier this week, also took some time to capture the rest of the Lexus Pavilion, including some shots of the GS series facelift and the Hybrid Drive display. Enjoy!